Thursday is Toussaint/All Saint's Day, the national holiday when the French honor their dead. 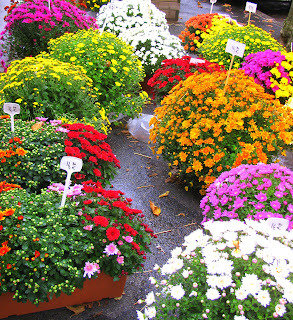 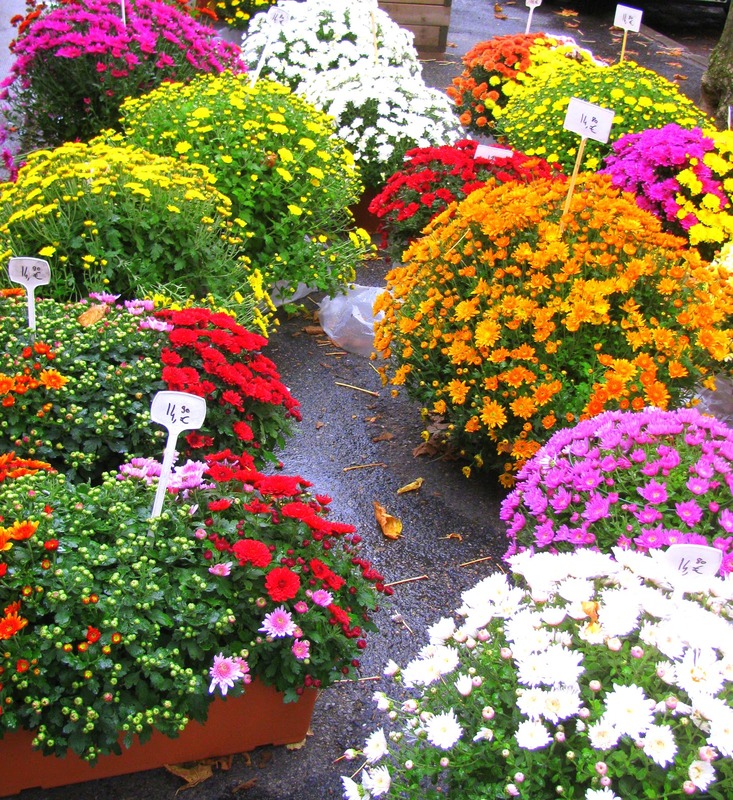 Chrysanthemums are the designated cemetery flower, and the sidewalk in front of the local florist is packed with potted varieties in every color. 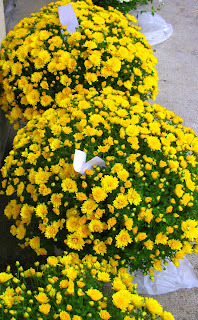 Even the grocery stores are selling them.